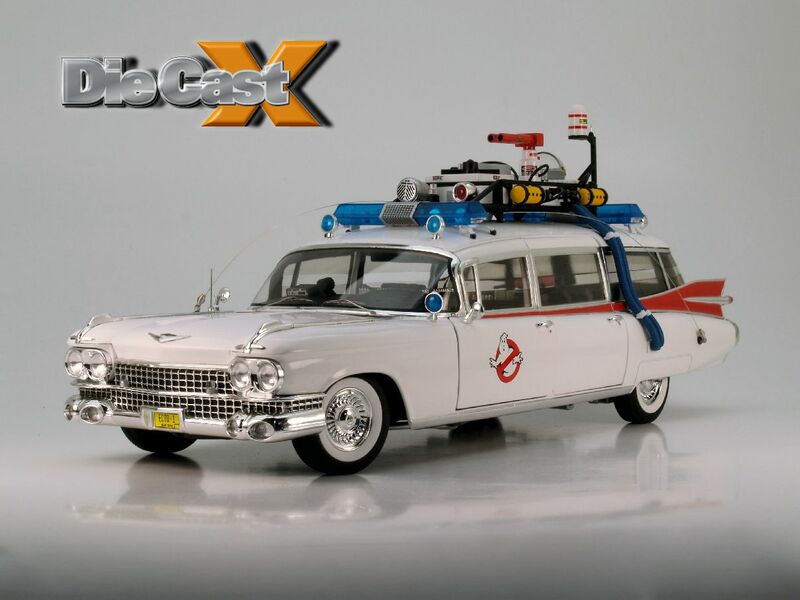 Well, well, well – at last, one of the most desired movie car icons of the last quarter century has arrived in true 1:18, and the ripple effect is catching up “serious” collectors as well as movie car fans. Hot Wheels Elite’s new 1959 Cadillac limousine-style Miller-Meteor Futura Duplex – a handful of a name for a handful of car – is not only a spot-on replication if the original “Ectomobile” from 1984’s Ghostbusters – it’s also a pretty good piece of model making, considering the ’59 ambulance/hearse beneath all those well-done add-ons. We’ll have some video soon, and we’re giving the model a full review in the next Die Cast X; in the meantime, check out this pair of snaps. 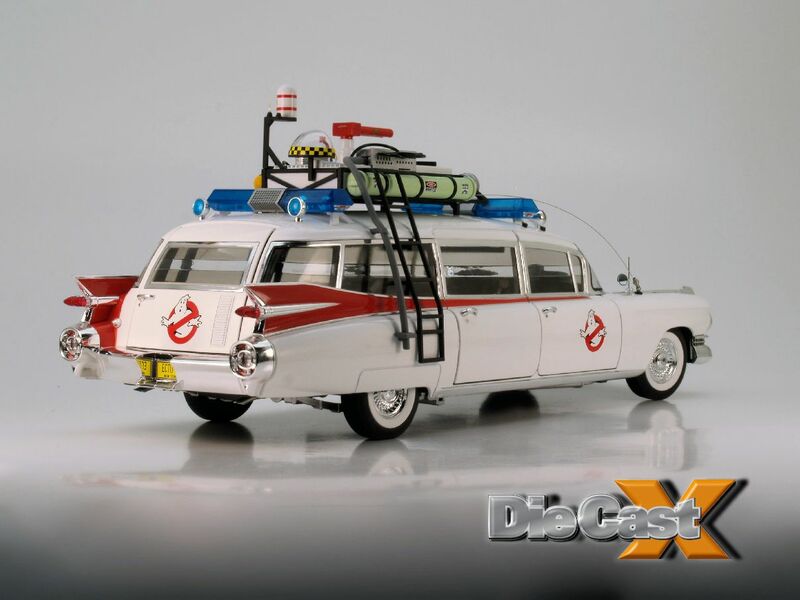 I have this.. A very impressive model of the Ecto-1. No detail was left out. From the biggest detail to the most smallest, nothing was spared. And being 1/18 in scale, it is really big, bigger than the usual 1/18 models as the car was longer and wider than a normal car. Hot Wheels went all out for this and I think this is the best Ecto-1 model ever made. And it is perhaps the definitive one to get.